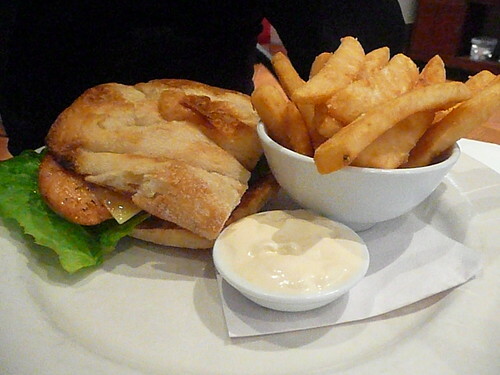 We had a family lunch at Pepper Lounge, Jindalee. This post has been a little while in coming, We actually went there for Fathers Day, so almost a month ago now! We started with this Garlic Bread, which was a little disappointing. In that the bread itself was cold. It had nice melted garlicy butter on te top, but there was no crispness or warmth to the bread. 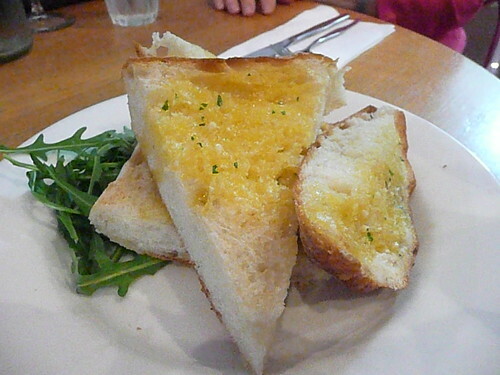 I suppose it wasn't called garlic toast, so maybe this is the way its meant to be. 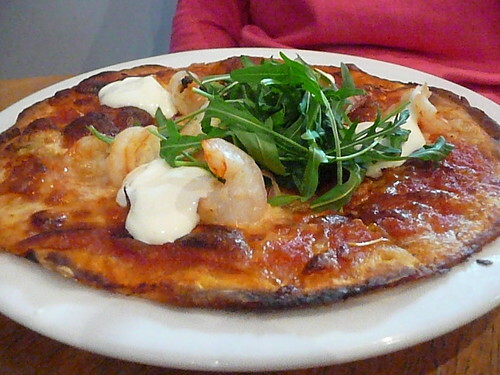 Mum had this prawn pizza. The base was nice and crispy! 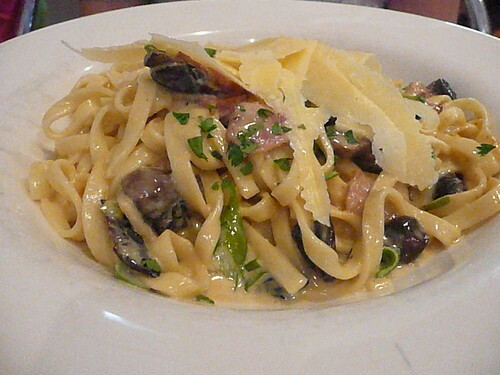 Dad had this pasta - fettucine in a creamy carbonara sauce with mushrooms. I had this open vegie sandwich, which was absolutely delicious! 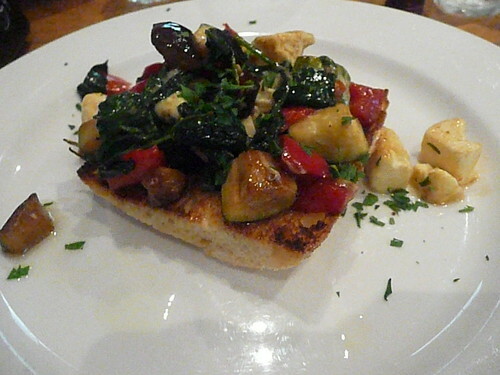 There was zuccini, eggplant, capsicum and feta on toasted turkish bread! YUM!! 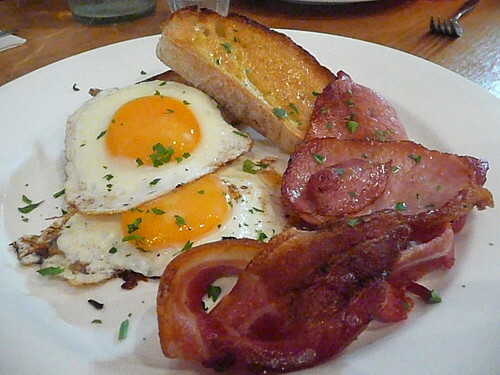 Janet had the bacon eggs and toast! Looks like a Janet meal doesn't it! We all enjoyed our meals, and whilst there was a little confusion over whether we were given the correct menu's, the service was good - there seemed to be several new staff, so they were being carefully supervised. I'd love to go back and try something else from the menu!